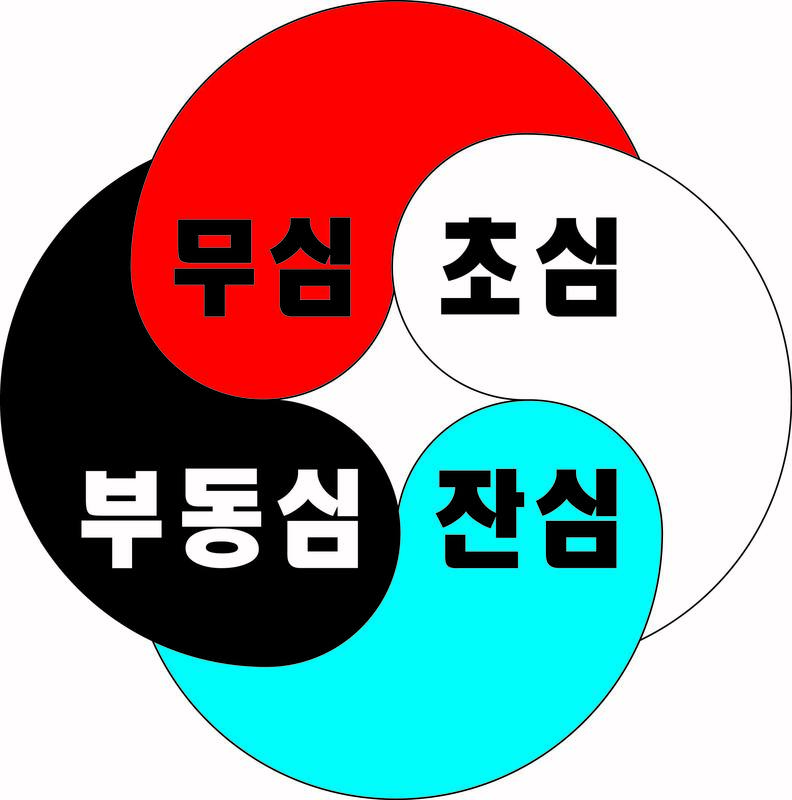 For this week’s post I am going to talk about another one of the Four Shin Ho Kwan Minds. As I sit down to write this my mind drifts off to the trip to Maine I am about to undertake. I apologize in advance for the quality of the post. My mind is elsewhere (is it?). “Mu” comes from the Chinese word “Wu” (無) which means: negative, no or not. 無 contains the radical 火. The character “火” means fire or burn. “Sim” comes from the Chinese word “Shin” (心) which in this case means: mind. Therefore, Mu Sim means “No Mind” or “The Mind that burns away thoughts.” When a martial artist enters this state of mind they are free of fear, anger, ego and all forms of thinking. They exists in the moment and subconsciously react to stimulus. Mu Sim not only benefits martial artists on a mental level, it also benefits them on a physical level. Thinking mind is very slow to react, where as Mu Sim reacts instantly. Typically, a student enters Mu Sim for the first time while sparring or while executing a form during a promotion exam. If asked about the experience, they usually comment about not even remembering doing the form or sparring. The reason for this “loss of time” is that thinking mind dropped away and was replaced with Mu Sim. It should be noted that most martial artists don’t consistently enter this state until they have been practicing for 10 years or more and can’t enter this state at will until they have been practicing for over 20 years. Two down and two left.